KNAB Finance Advisors Pvt. 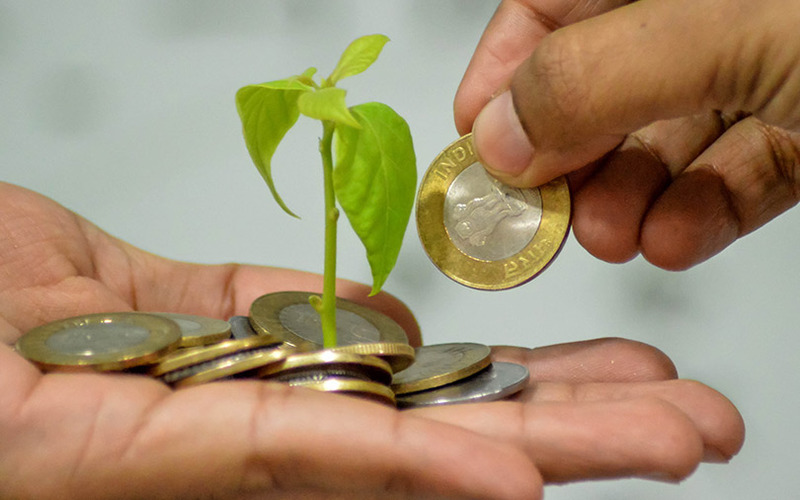 Ltd, a fin-tech firm that provides unsecured working capital loans to small and medium-sized enterprises (SMEs), has raised a little over Rs 2.5 crore in two funding rounds, a top company executive told VCCircle. Non-banking financial company (NBFC) InCred, and over a dozen individual investors including Mindtree executive chairman Krishnakumar Natarajan and Sharjah Islamic Bank's senior vice president Ravi Bhardwaj invested in the company. "Most of our investors come from financial institutions," KNAB Finance's co-founder Mandeep Chaudhary said. The startup received its licence to operate as a non-deposit-taking NBFC in October 2016. "We actively started disbursing loans in January 2017. After receiving our NBFC licence, we held ourselves back for two months due to demonetisation," Chaudhary said. The startup extends loans with an average ticket size of Rs 6 lakh, and it has disbursed Rs 10 crore worth of loans so far. It also offers short-term loans, allowing customers to close them within a month. KNAB has on-boarded a few partners. "We give loans to customers of the ecosystem every month. Some of our partners are Treebo Hotels, Paytm and M-Swipe, among others," Chaudhary added. Several startups have emerged in the online lending space over the past two years, and most of them are targeting SMEs. "If we see SME as a space, there is no proper underwriting and risk assessment happening right now. The reason is, the loans SMEs want are too small for a corporate loan. The interest income is too low and the cost of on-boarding is too high," Chaudhary said. "We do a careful examination of documents using over 300 variables, which helps us calculate our customer's KNABscore," he added. When asked if there is room for more players in the digital lending space, Chaudhary said, "There is a huge dearth in the SME lending space in India. China has been able to grow because credit is easily available to SMEs, unlike in India. As an institution, one can give around Rs 1,000 crore, which is peanuts for an ocean like India." InCred recently invested in another fin-tech startup, DigiLend Analytics & Technology Pvt Ltd. In an interaction with VCCircle earlier this month, InCred founder Bhupinder Singh said his firm had invested in a few startups to pick up 10-15% stakes in return.